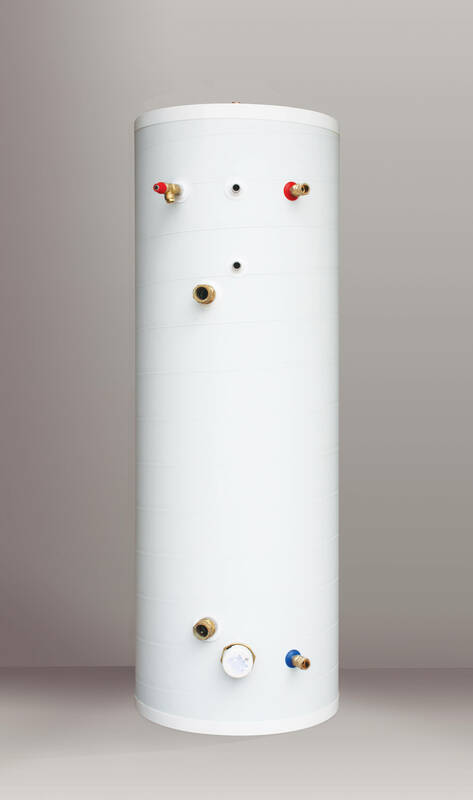 Nu-Heat has launched the latest in its range of specialised hot water cylinders for use with heat pumps. This version is the largest to date, with an actual capacity for 542 litres. There are two models available: non-solar and solar. The cylinders are ideal for use in bigger properties with multiple bathrooms/ensuites or for commercial applications, and have been developed to work well with the Hitachi Yutaki-M twin fan air source heat pump and NIBE’s F1145 and F1330 ground source heat pumps. The coil is 3m² (the same as the smaller cylinders) to match with the heat pump output. The EnergyMaster HP540 Solar has 148 litres dedicated solar volume, and 394 litres of volume heated by the heat pump (equal to the smaller cylinder version). Both cylinders are standard ceiling height so are able to fit through a typical UK doorway. They are made of stainless steel and come with a 25-year warranty.